When opportunity knocks answer the door. 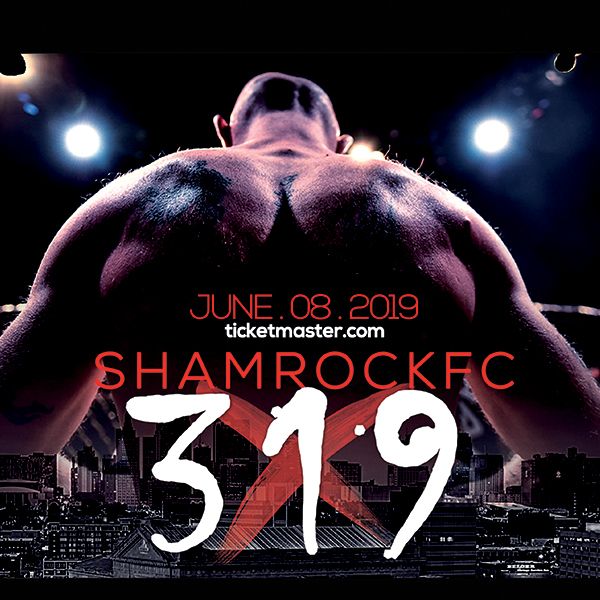 Many fresh faces were given a crack under the Shamrock FC banner Saturday night at the Lumiere Casino. The card went heavy on Illinois-based fighters and the show was thrown a curveball when welterweight Trevor Lanzone no-showed for his main event fight with Gage Marson. Thrust into the main event, bantamweight Kasey Tanner responded with a borderline-brilliant performance against 18-year-old Chris Budde. Tanner out-classed Budde, especially on the feet. In the first round, after lacing Budde into a plum, Tanner landed a bevy of knees, some of which landed and some, to Budde's credit, were blocked. The barrage took away any momentum the grappling-based Budde was hoping to grab and put a significant dent in his gas tank. Tanner nailed down the range in the second round and started to land punches consistently. With Budde pressed against the cage, Tanner connected with a body shot that sent Budde crumpling, and Tanner finished the fight with a TKO at 1:24. The long-limbed middleweight was likely down two rounds to Armando Matech heading into the third. Matech, a fireplug of a fighter, showcased solid grappling throughout the first two rounds. Matech looked to be in control in the third when Offor went after, and got, a kimura from guard and earned the finish at 1:15 in the third round. Jeff Glover put together a violent performance against Jeff Shankle. Glover landed a ton of ground and pound late in the first round, and Shankle didn't answer the bell to start the second, giving Glover the TKO win. Randy Hawkins and JacQuan Gudin put on an inspiring performance in a light heavyweight throwdown. The fight see-sawed back and forth with Hawkins displaying an admiral chin and slick grappling while Gudin showcased quick and accurate hands. Even the judges had a hard time picking this one as Hawkins won by split decision. Featherweights Nick Broussard and Mike Upton put on quite the donnybrook to kick off the main card. Upton displayed crisp boxing and cranked up the output to win a unanimous decision. But it was Broussard's Rocky-like chin and resolve that won the heart of the crowd. Upton landed a barrage of punches throughout the nine minutes, but Broussard kept walking through and scored some excellent takedowns in the second and third rounds. Headling the prelim card, heavyweight Jason Huncovsky made quick work of Josh Jordan. Huncovsky got inside for a takedown and quickly secured an arm. Huncovsky soon after got the americana submission for the victory. 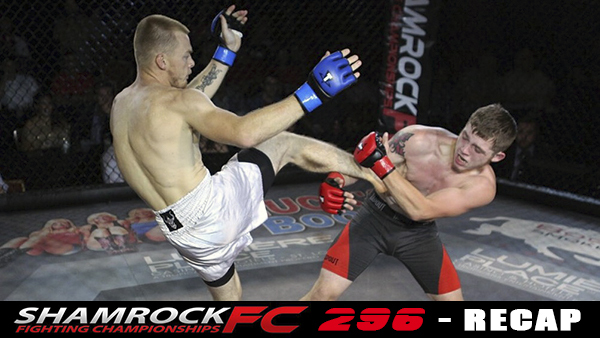 In an entertaining kickboxing bout, James McAfee kneed his way to a unanimous decision win over James Frick. Both fighters displayed a love for action and the ability to withstand punishment. Nineteen-year-old Tim Eschenfelder smothered Justin Lewis and looked solid at featherweight. Eschenfelder got on top and stayed there and then softened Lewis up with punches before nailing the first round submission at 2:48. Chuckie Brooks patched together a strong outing as he won by submission over Bill Smith. Brook's Von Flue choke put Smith to sleep at 1:24 in the third round. It was a dynamite first round between the two as leg kicks, and scrambles led to a high offensive output from both. Cameron Dun and Ethan Frick were making their MMA debuts, and it was Dunn who looked the more polished of the two, winning with a second-round TKO. Tivion Taylor landed a vicious left head kick to knock Ryan Alberle stiff and get the KO 20 seconds into their bout. To kick off the night, welterweight Carl Jefferson earned a TKO victory due to doctor's stoppage over Arvin Mills. Shamrock FC is back at the Lumiere Casino on November 11.